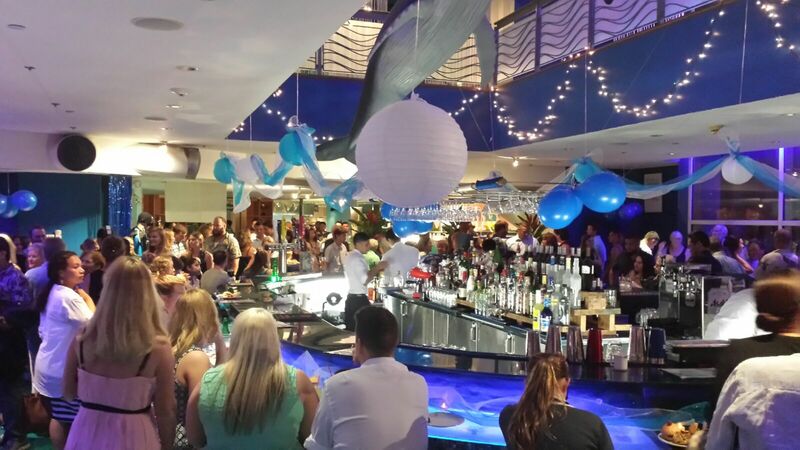 Back in January we had our wonderful Launch Party and Fundraiser at the Sea Grill restaurant. It was planned with great care, trying to anticipate everything. The decorations were ocean inspired and hung by our own manta team and board members. The music was played by wonderful local musicians, Friends with Instruments. The food was plentiful and deliciously cooked and presented by Sea Grill. Our giveaways and silent auctions were varied and abundant donated to us by our wonderful and supportive friends and corporate community. Our presenters had worked hard, wanting to inform and inspire our guests with our MCC active and ongoing projects. All was set! What we didn’t take in to consideration was how much fun everyone was going to be having and that our presenters were not going to be heard over the lively and ongoing party! So, what was the one complaint that we had after our soirée? People still wanted to hear all about the Micronesian Conservation Coalition’s research projects and see the fabulous photographs and videos. With that in mind we decided to hold another evening to showcase our projects. The Marianas Yacht Club was a lovely seaside setting to hold our Marine Mixer and the weather gods favoured us with a perfect evening with just the right about of a breeze to keep us cool and keep the mosquitoes at bay. Mosa’s opened up the bar and grill to allow our guests to have a bite to eat and a beverage and most importantly we were able to have our presenters heard and seen! 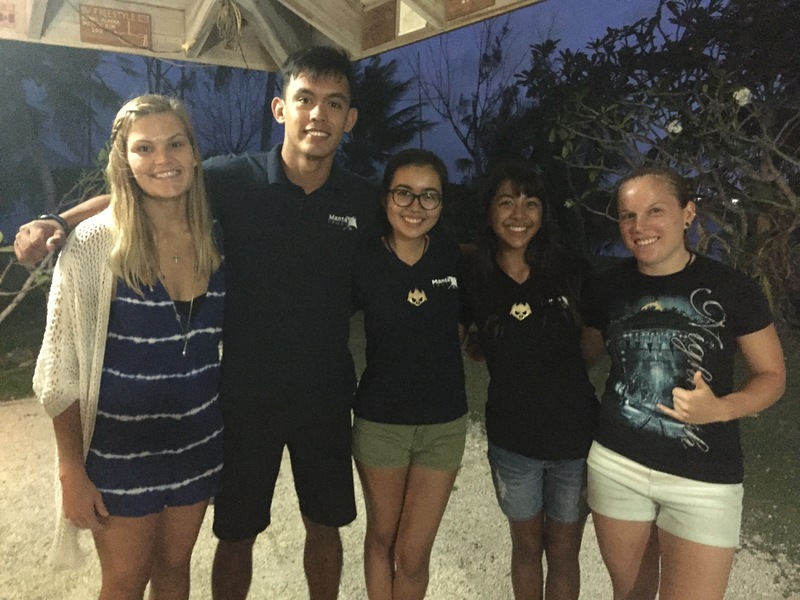 Our team of presenters was made up from our young marine team from the University of Guam and St John’s High School. Diona Drake, Leilani Sablan, Will Naden, Natasha Hagans, Gabby Paynter and Jenn Weir. They took us on a journey with their presentations talking about pelagic sharks, journeys to Yap and Pohnpei studying mantas and other marine mammals. They spoke of their love of the ocean and their desires to educate anyone who will listen. They want to make a difference here on Guam tying into the culture, the need for the sustainability of the natural resources and keeping our oceans clean. Education! Education! Education! These young people were an inspiration to all that were there listening to their enthusiastic and inspiring presentations. Julie Hartup, the Micronesian Conservation Coalition’s founder and executive director, finished up the evening with her work on manta rays, here on Guam and throughout Micronesia. It was full of information accompanied by beautiful photography bringing these magnificent creatures alive for us all. Her work continues as she prepares for her masters. The thing that is also so inspiring is how she shares with us all and truly wants to inspire and assist our next generation of marine biologists. Helping them anyway she can. Fostering those young minds here on Guam that was so evident with our young presenters that evening. Thank you to all that attended! Stay tuned for our next event!